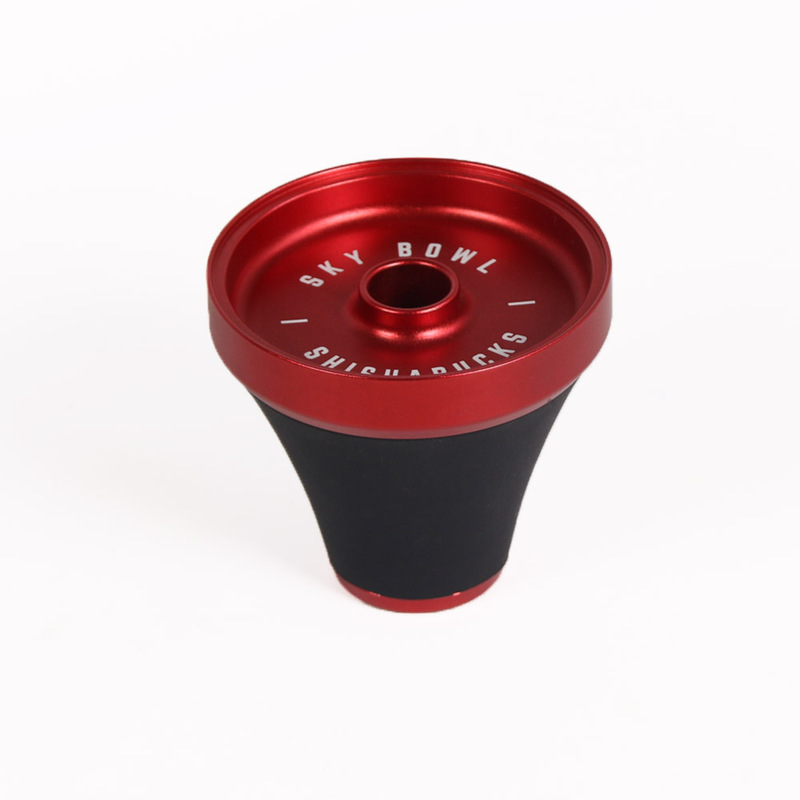 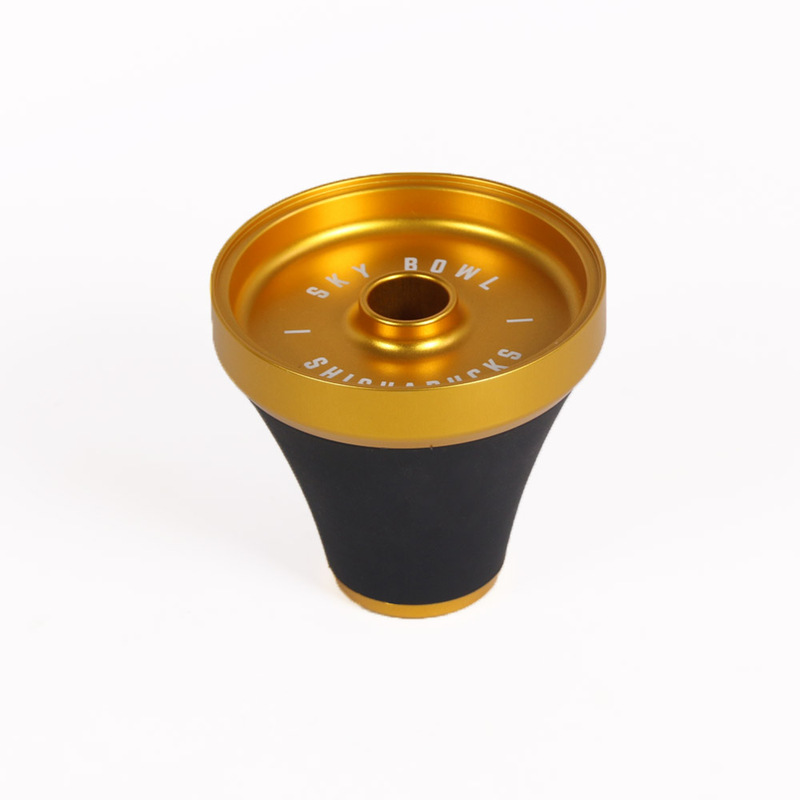 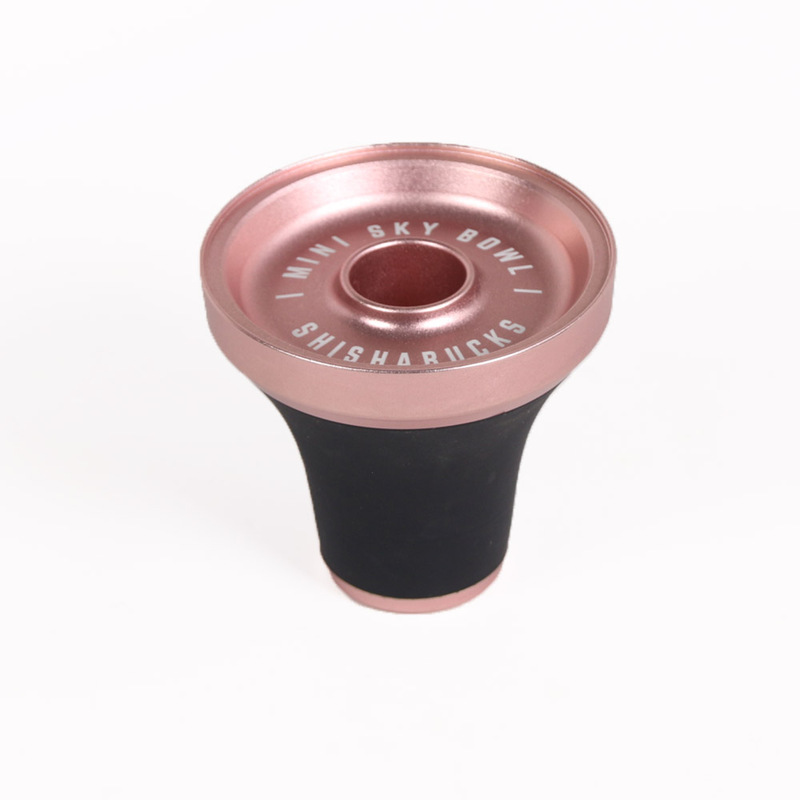 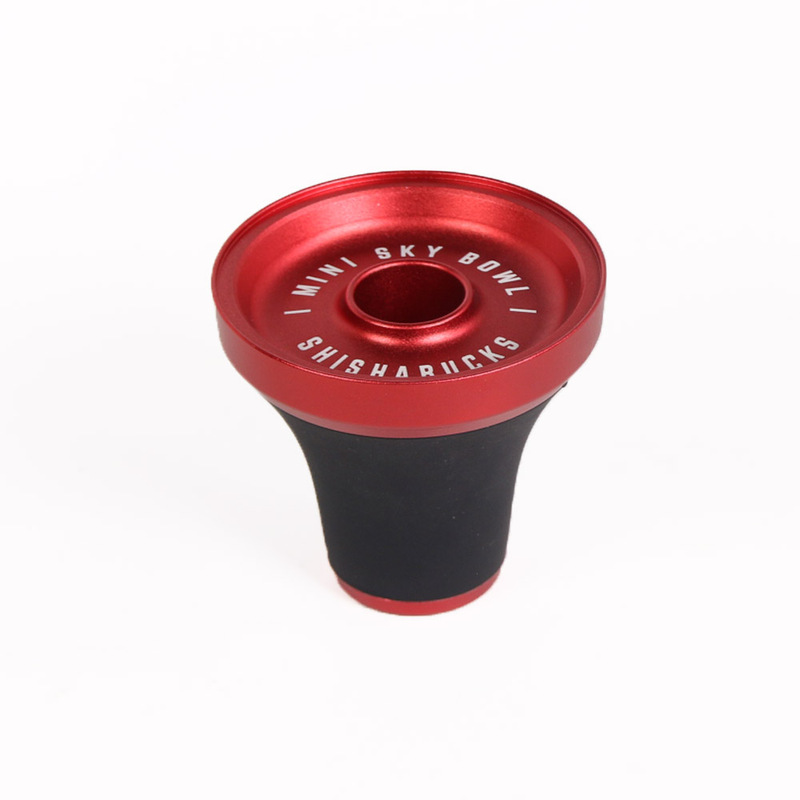 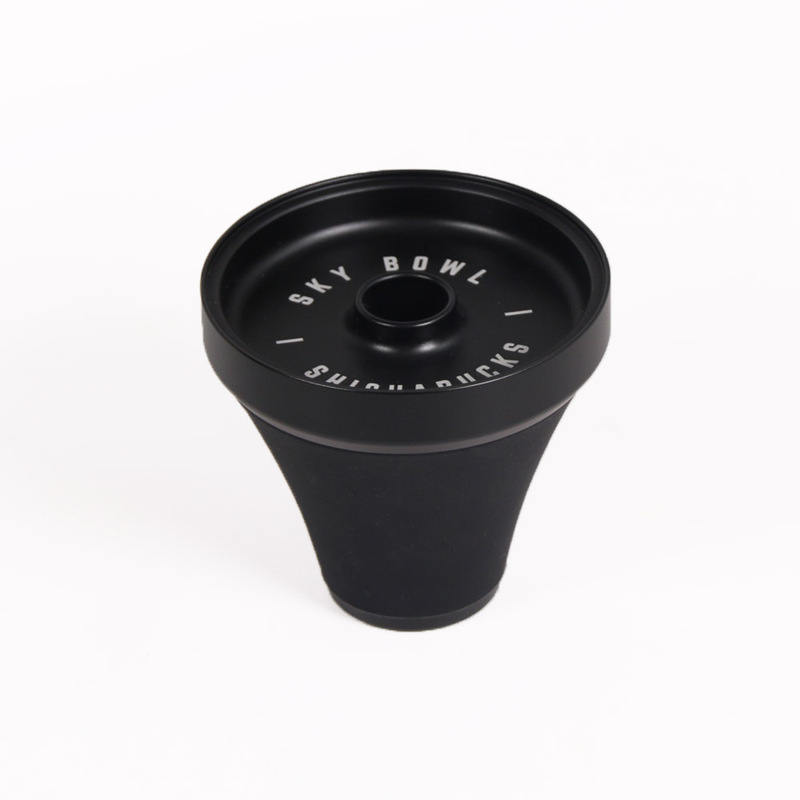 Shishabucks Sky Bowls is a high quality phunnel style Hoookah Bowl. 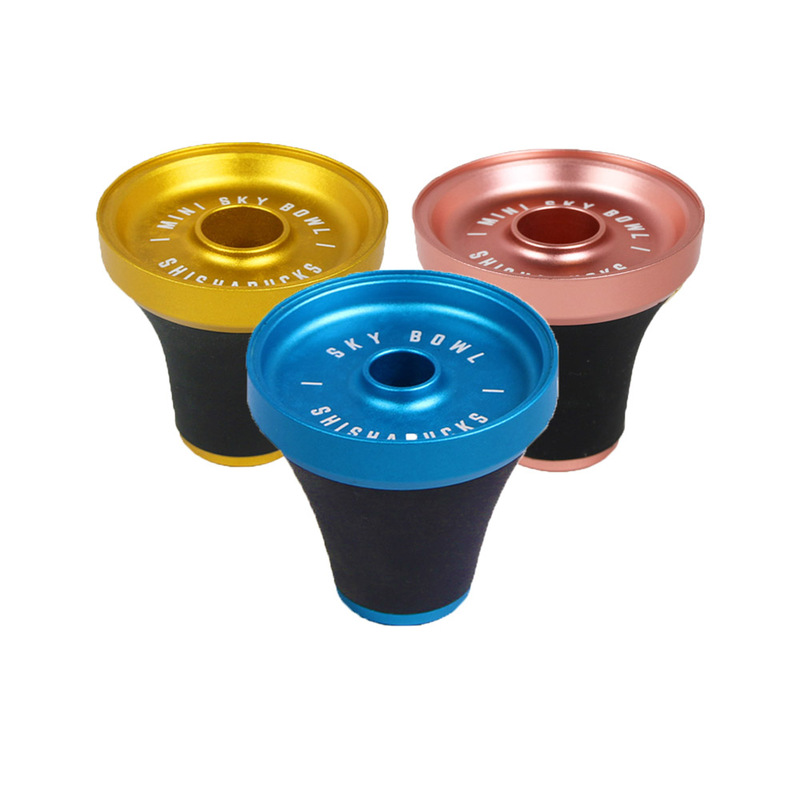 Made with Anodized aluminum, and a silicon sleeve, it provides an easy to use and good smoking experience. Comes in two sizes: Regular holds 20-25g of shisha an Mini holds 10-15g. Comes in two sizes: Regular holds 20-25 grams of shisha (depends on the pack) and can last 1-1.5 hours. 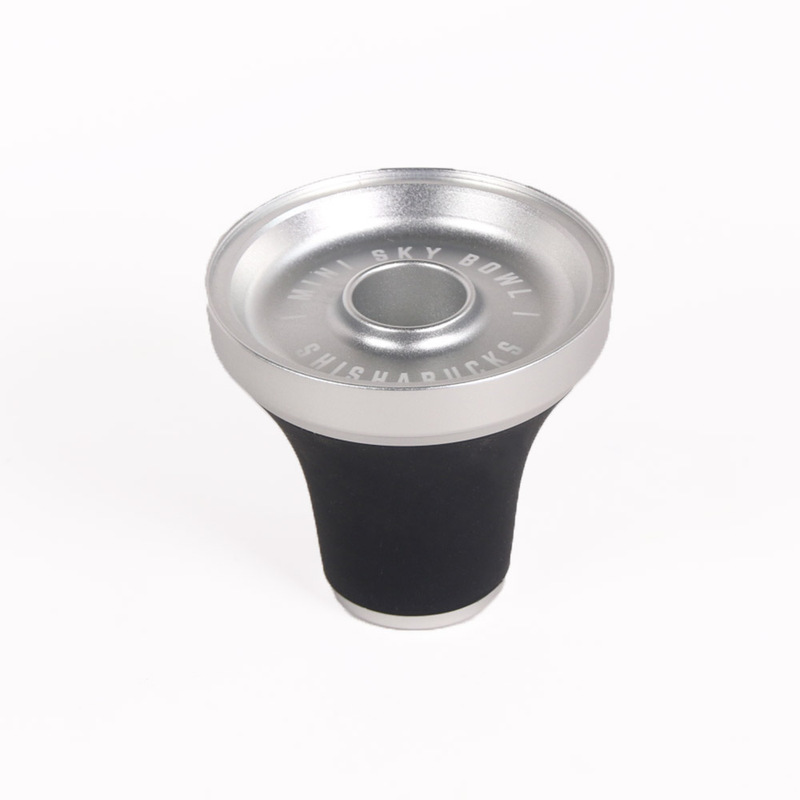 Mini holds 10-15 grams of shisha and can last 40 minuts – 1 hour. 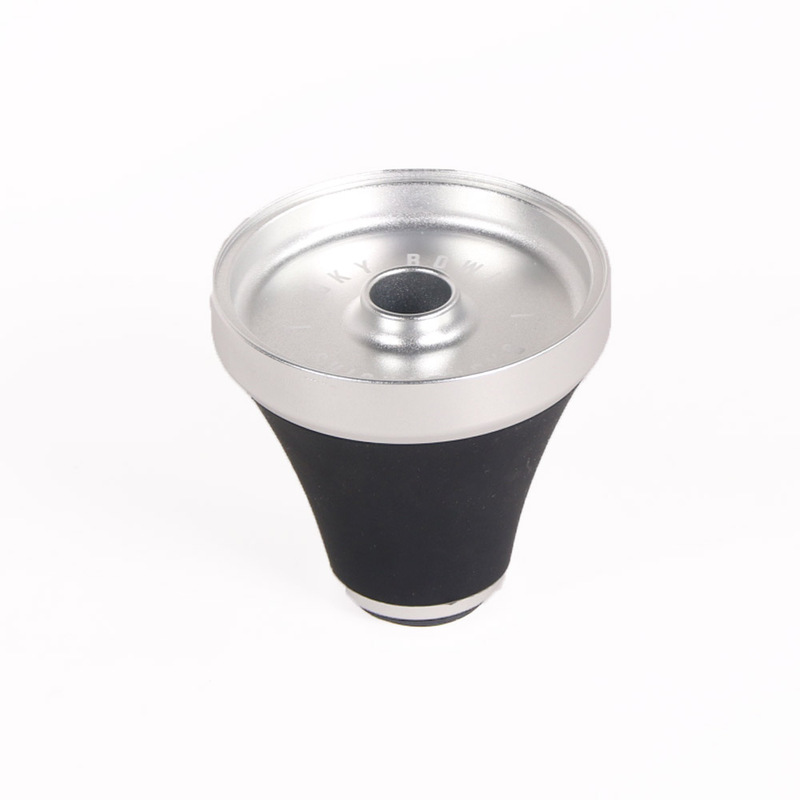 Aluminum evenly cooks the shisha from all sides while silicone retains the heat and allows safe handling. Compatible with all heat manager devices on the market via a special groove on the rim. Colored anodizing coating (except natural silver color) might fade overtime due to heat exposure.